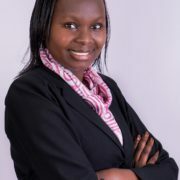 Ms. Ndungu is known for her dedication and understanding to the unique needs of the property sector clients. She has extensive experience acting for an array of clients across various sectors. Her experience enables her to provide leading-edge legal services in sale, purchase, finance and risk management. She provides comprehensive legal solutions that enable smooth completion of transactions. She advises both domestic and overseas financial institutions of varied sizes as well as investors and entrepreneurs. Her experience in construction and infrastructure enables high level legal service delivery to stakeholders.